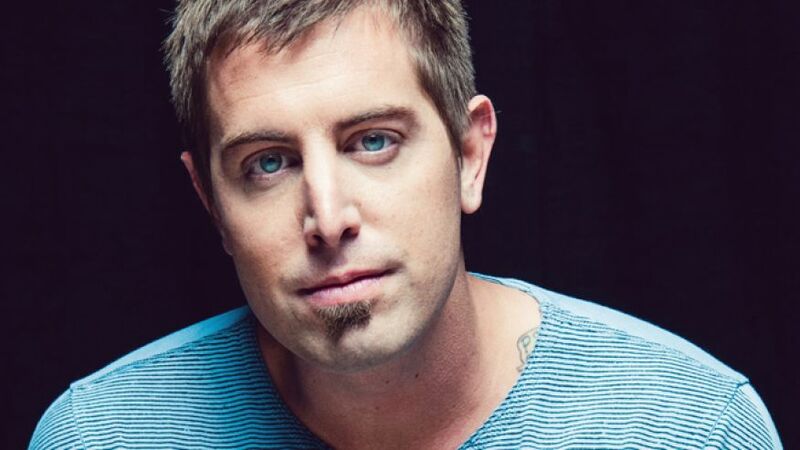 Jeremy Camp | Whats Happening? WINSTON-SALEM, N.C. (August 29, 2015) – Downtown Winston-Salem’s BB&T Ballpark, home of the Winston-Salem Dash baseball team, will be the site of the inaugural “Awakening Music Festival: Sing Your Heart, Loudly.” The two-day Awakening Music Festival will feature a diverse line-up of Christian music performers co-headlined by Kirk Franklin and MercyMe on Saturday, September 26 from 4 to 10 p.m. Jeremy Camp will headline Awakening on Sunday, September 27 from 2 to 8 p.m. He noted that the top four Christian music concerts in America aggregately draw more than 300,000 people over the course of a week. In addition to Kirk Franklin, MercyMe and Jeremy Camp as headline performers, Lassiter said additional headlining and secondary acts are being cultivated and will include a diverse range of musical performers, speakers and local church groups. Tickets to the Awakening Music Festival range from $25 to $75 per day. Group discounts also are available. Tickets are on sale now. Call (336) 331-3740 or click here for tickets. A full seating chart and pricing grid is available here. Click on picture to enlarge. For nearly two decades now, Kirk Franklin has been a multi-platinum-selling purveyor of majestic fusions of gospel and contemporary music, and a mirror of Christian humanity boldly reflecting what one faith walking man can accomplish when he focuses on God and taps deep into the gifts He gives. Franklin is a pioneer in gap-bridging musicianship, uniting audiences across gospel, hip hop, pop and R&B. His irresistible rhythms and rhapsodies have resulted in albums that consistently top both Billboard’s Gospel and Christian charts, as well as ascend triumphantly into the Top 10 of the R&B/Hip Hop chart. His unprecedented penetration into the mainstream has fortified him to also become a New York Times bestselling author for The Blueprint: A Plan for Living Above Life’s Storms(Gotham/Penguin). Franklin is also the host and executive producer of the gospel talent show “Sunday Best,” the highest-rated gospel program in BET network history now heading into its sixth season. To date, the trendsetter has garnered nine GRAMMY® Awards, 39 Stellar Awards, 16 Dove Awards (CCM), eight NAACP Image Awards, two BET Awards, an American Music Award, a Soul Train Award and numerous others. And yet, with all of his success and acclaim-his overflow of awards and accolades-Franklin remains, at heart, a man who comes from shaky circumstances that could have paralyzed his spiritual growth within his humble familial beginnings. He is never far from that frightened and forlorn young man who didn’t always know which way to turn. 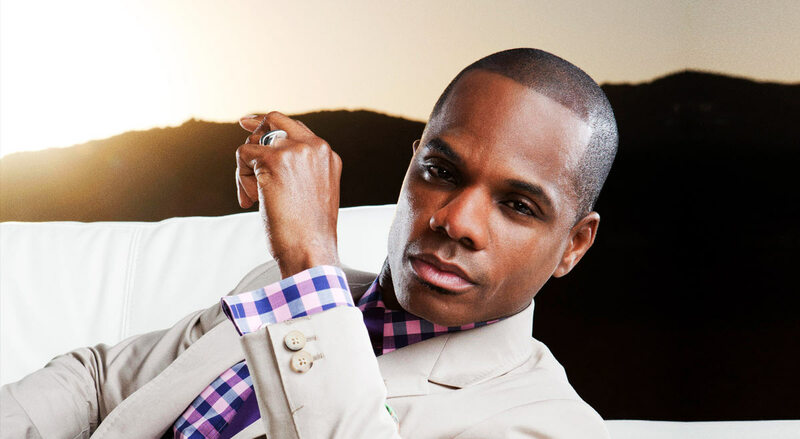 The heart of who Kirk Franklin is and his story struck a resounding chord with his fans years ago and they have remained loyal ever since. Franklin has always been transparent about being abandoned by his parents and adopted by his grandmother and his humble beginnings. He has never hid behind his celebrity status but has remained connected to his audience through his music and frank discussions of life issues, which is what makes Franklin one of the most relatable and respected messengers in his field. Franklin is the biggest selling Contemporary Gospel artist in the history of SoundScan. His latest CD, Hello Fear, was RIAA-certified gold in February 2012 and he has 7 additional RIAA-certified gold, platinum and multi-platinum selling releases to date. Since their debut in 2001, GRAMMY®-nominated, American Music Award and multiple Dove Award winners MercyMe have sold more than 8.5 million units in CD, single and DVD sales, garnered 27 No. 1 multi-format Christian radio singles and four consecutive mainstream radio hits with “I Can Only Imagine,” (No. 4 AC/Top 25 on Top 40/Hot AC), “Here With Me” (No. 4 AC), “Homesick” (Top 10 AC), and “So Long Self.” Their radio success has continued with their recent single “Greater,” which held the No. 1 spot at Christian radio for 16 weeks. 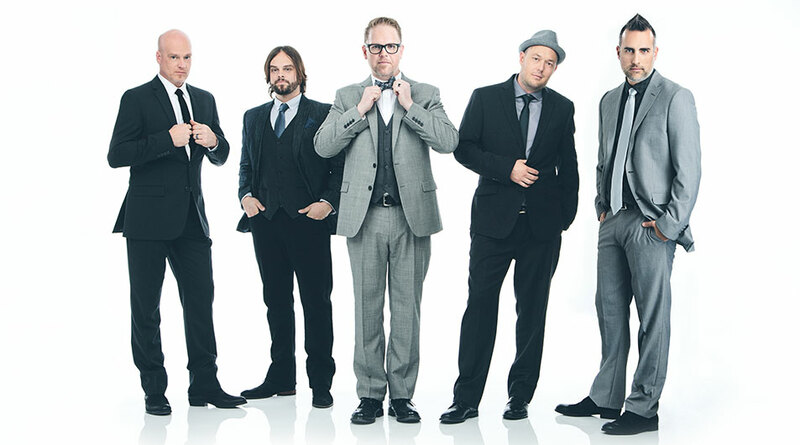 MercyMe made history in 2014 as “I Can Only Imagine” surpassed 2 million digital downloads, making it the first song in Christian music to go platinum and double-platinum in the digital domain. In 2009, Billboard named MercyMe’s “Word Of God Speak” the No. 1 Song of the Decade and the group the No. 1 Artist of the Decade in both the Christian Songs and Christian AC Songs categories, recognizing them as one of the industry’s most notable talents. They have sold out venues throughout the United States and Canada, including Radio City Music Hall, and have appeared on The Today Show, CBS This Morning, The Tonight Show with Jay Leno, Fox New Channel’s Fox & Friends, CNN, ABC News, and in the pages of Entertainment Weekly, The New York Times, USA Today and more. MercyMe’s eighth studio album, Welcome To The New, garnered Billboard Music Award nominations in all three Christian categories and two GRAMMY® nods. Their highly anticipated new album MercyMe, It’s Christmas! offers a fresh spin on seasonal favorites as well as several original songs, and is slated to release in October 2015. 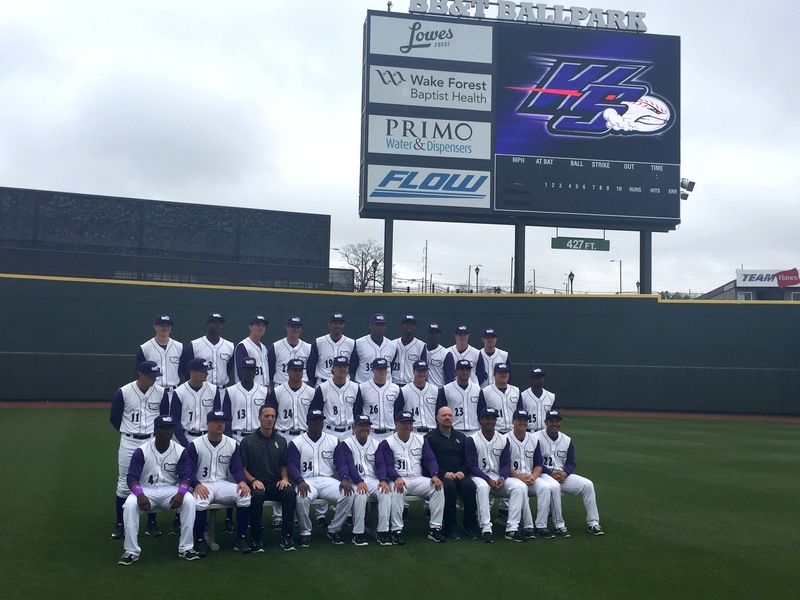 The Winston-Salem Dash are the Class A-Advanced minor league affiliate of the Chicago White Sox. The Dash play at beautiful BB&T Ballpark in downtown Winston-Salem. Since moving into BB&T Ballpark in 2010, the Dash have averaged more than 300,000 fans per season and placed either first or second in attendance among the 30 teams within Class A-Advanced baseball each year. Fans can purchase tickets or learn more about the Dash by calling (336) 714-2287 or visiting wsdash.com.